After registering, a password and further instructions will be e-mailed to the provided address. Manager Select: Search. Compare. Decide. Receive access to the proprietary Manager Select database of managers with fixed-income, insurance specialization. 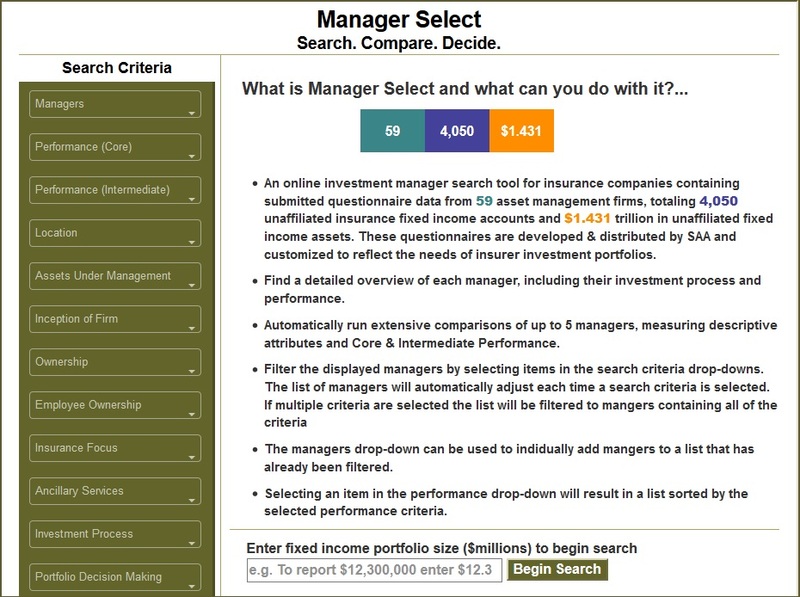 Manager Select curates a list of qualified candidates based on their desired criteria, such as performance or investment process. Insurers that currently have a manager can instead utilize Manager Select to run comprehensive evaluations against competing firms.